7:30pm – RBRA can confirm an appeal has been lodged by Triple Eight Race Engineering Car 88 following today’s Supercheap Auto Bathurst 1000. Under the operations manual all teams have the ability to appeal a particular decision. Once the appeal is formally lodged and evidence is submitted, the appeal is heard by the Supercars court of appeal which is appointed independently and the procedures run by CAMS. A date has yet to be set to hear the appeal. 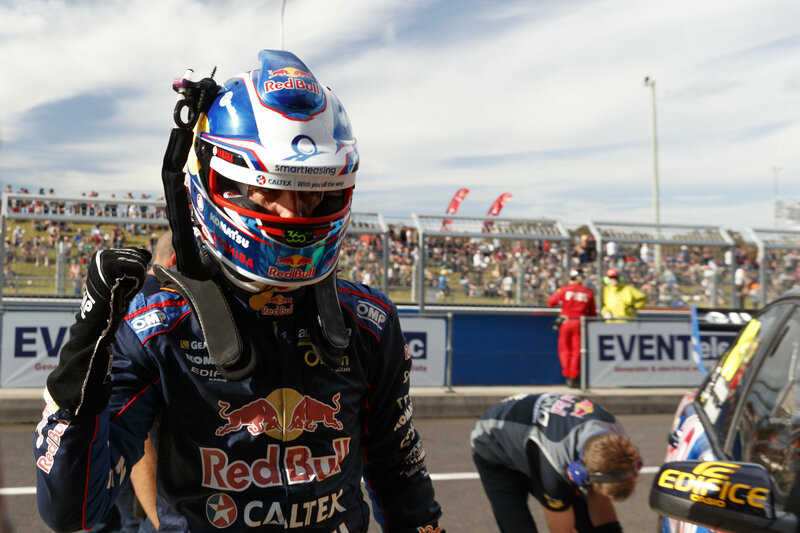 12:10pm – Dumbrell is sitting in P1 with AP in P3. Still, a long way to go, but with one pit stop down everything is going to plan. 11:35am – The great race has started. JW pushed forward to continue to hold out P1, SVG moved forward to P6. 11:10am – We are on the grid, ready to get real with the 2016 Bathurst 1000. It has been a wild ride so far, always fun when our mate Murph pops over for a visit. 10:30am – Update: JDub has been rescued. 10:12am – Always a great start to the day when your pole sitting driver gets lost on a parade lap around the mountain. #whereswhincup? 8:30am – Warmup session got us nice and toasty. JW/PD taking the fastest time, SVG/AP 19th. 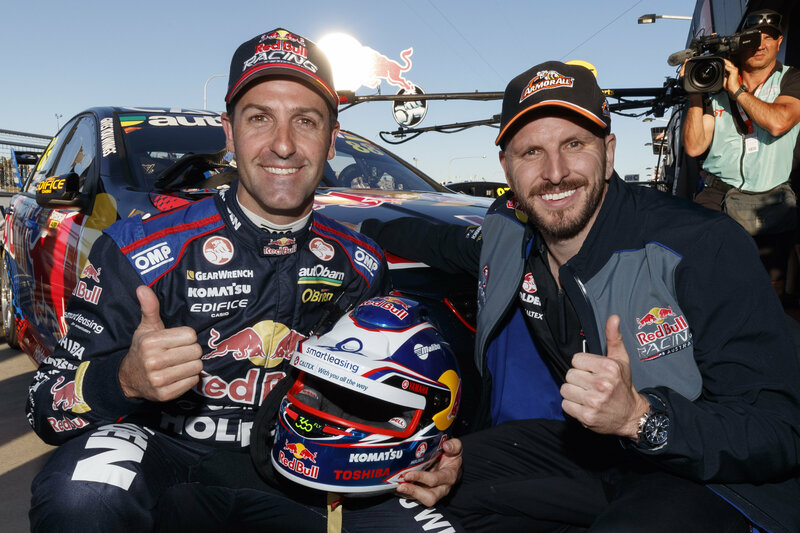 7:12am – HAPPY BATHURST DAY! 2:00pm – We snagged us some good ones! All the Triple Eight team are out at the “Bathurst Hilton” for our annual BBQ. 12:48pm – Hey, we might not be on track, but that doesn’t mean the guys get a break! JDub is meeting the VIP’s in the VASC Paddock club today. 11:23am – The final practice session is done and dusted for the weekend. P4 for the #97 crew and P12 for #88, now to kill time before this afternoon’s TTSO. 9:12am – Dark skies are looming over the mountain….Fingers crossed the weather holds out for this afternoon’s shoot-out. 8:01am – Guess they do things differently in France? 7:12am – Rise and shine it’s pitstop time! 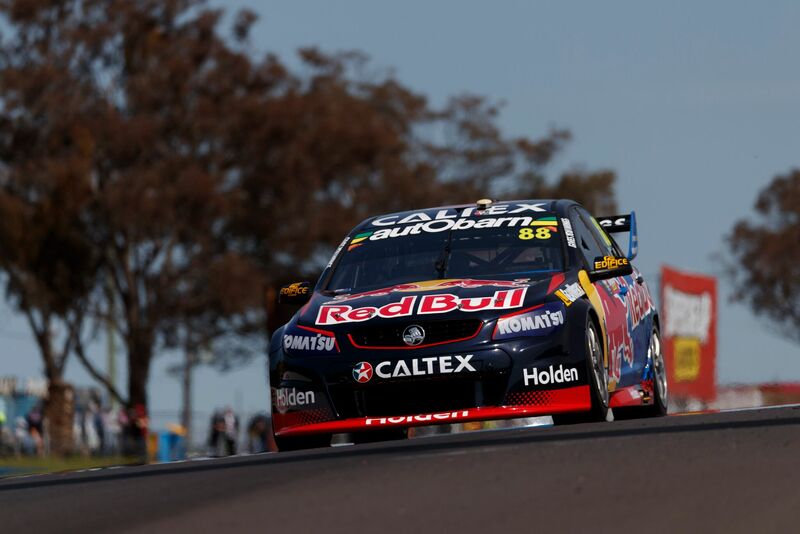 7:08pm – Don’t forget to get down to the pits or tune into CH 506 Fox Sports – Pit Lane LIVE is on tonight. Cauchi and JW will be on shortly for a whole stack of fun! 1:12pm – It’s prime time on the mountain. 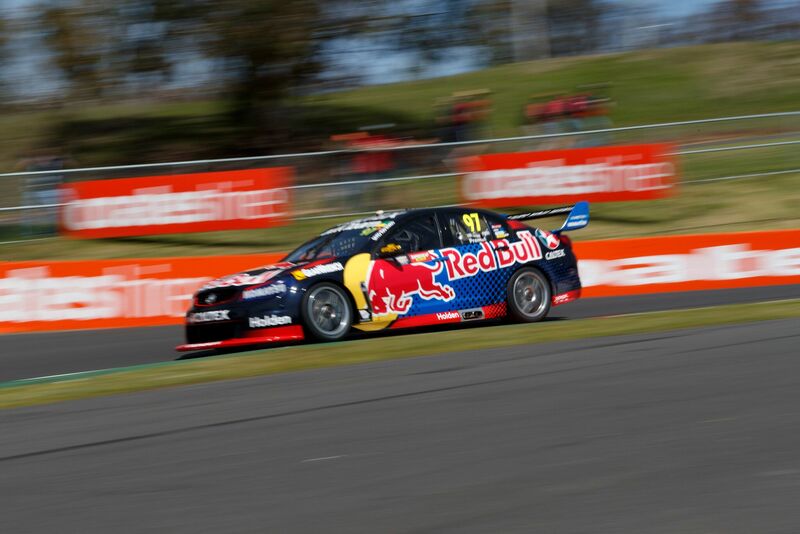 12:56pm – One last practice session for the Bathurst weekend, with JW coming out on top again and SVG in P5. Qualy is up next! 9:34am – The team from Supercars Life are following us around this weekend, and they just brought us hot doughnuts, so they can follow us every weekend as far as we are concerned! 9:02am – Another solid practice session for the team on track, PD P3, APP5, another practice session isn’t too far away. 7:34am – Friday’s fun on track. 6:55am – We are kicking off with pit stop practice for the car #97 team to start the day. With all the fog about the driver changes are looking more like a magic trick. Now you see them, now you don’t! 7:20pm – We are still rocking out at the track after our Stocklands appearance. Nothing like the sound of fireworks to get you excited. 2:21pm – You can tell the #88 crew have had their Red Bull this morning. PD tops second practice session in P1, AP wasn’t far behind in P3. One last session to go for the day! 12:12pm – Beep beep! Coming through. 11:51am – Practice 1 done and dusted, a solid start to what is a massive weekend! JW in P1, SVG P10. 9:16am – We are at our merch signing session. Don’t forget to grab a signing card if you want to come and see the drivers. 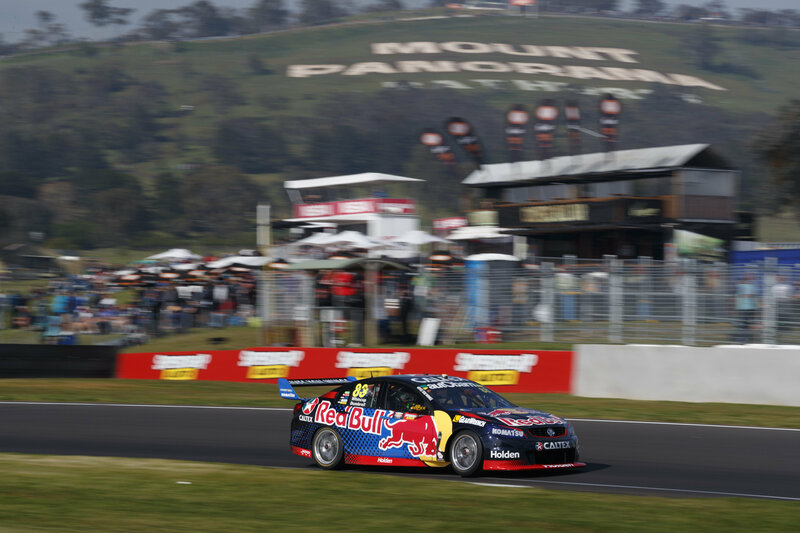 7:34am – Did you know JDub holds the practice lap record for Bathurst? Clocking in at – 2:04.9097. 6:11am – Practice sessions fill today with heaps of opportunity to warm up before the great race. 5:03am – The early bird catches the worm/trophy. 3:43pm – Tune in tomorrow to our Facebook at 8:55am AEDT to watch us go LIVE as JDub takes us on a tour of the teams’ Bathurst Motorhome! 2:59pm – Rockstars. Bathurst put on the sunshine today for the parade. 2:12pm – Parade game strong. Thanks to everyone for coming out and saying hi! 12:31pm – Now there’s a sight we like to see! 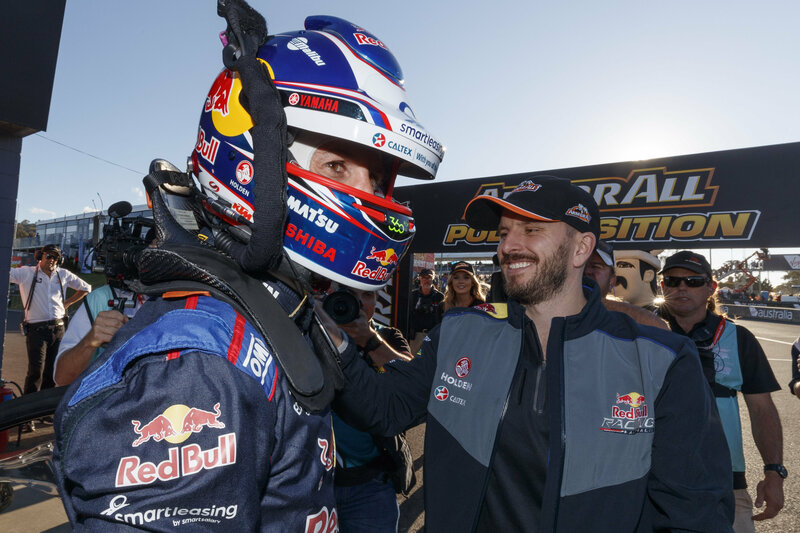 11:06am – FAST FACT – Shane started on pole in 2014 and has qualified top 6 for 6 of the last 7 Bathurst 1000s. 10:34am – Because one is never enough. 10:00am – SVG + Supercar Drift Car = Night Drift. 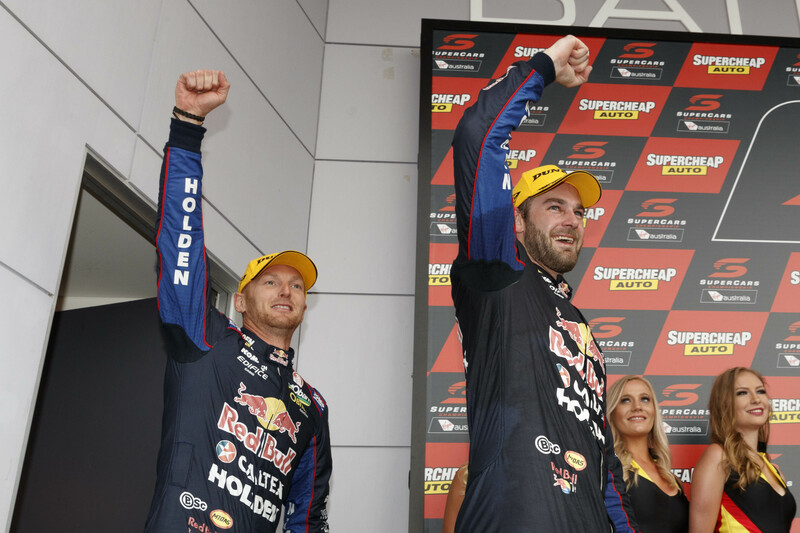 10:56am – FAST FACT – Just eight drivers have won Bathurst and the Championship in the same year. 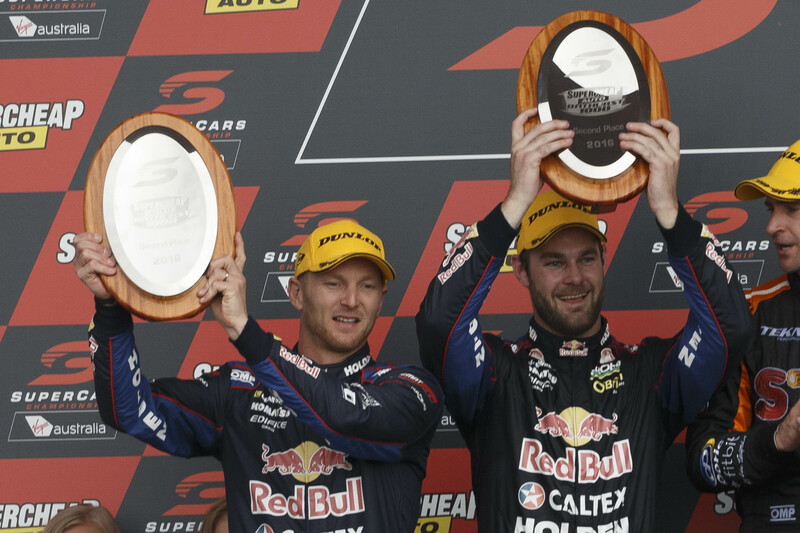 The only active drivers to do it are Whincup (2008, 2012) and Lowndes (1996). 7:12am – Bathurst Bound! We are flying sky-high on the way to the mountain this morning. 1:15pm – Word on the street is that our RBRA Iveco transporter is charging down to Bathurst at a great pace. T minus two hours and 45 minutes until arrival at Mount Panorama. We can feel the goose bumps already! 9:00pm – Word from Wazza is that the trucks and their precious cargo are safe and sound in Dubbo. Have a good rest, guys, it’s a long week ahead. 3:15pm – FUN FACT – Jamie has only had one DNF in the Bathurst 1000, which was at his debut at the mountain in 2002. He’s finished every single race since then. We’re not ones for tempting fate, though, so forget we said that. 8:00am – They’re away! Wazza and Pom, in the TeamVortex truck, are officially en route to the mountain. Safe travels, boys!